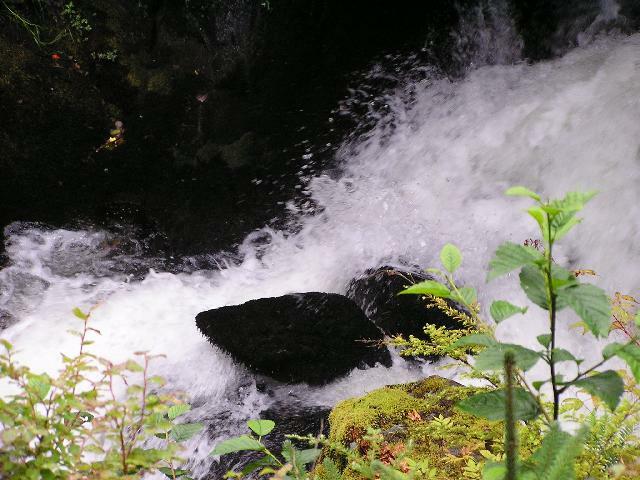 Notes: I went to Salmon Creek Falls in Ketchikan, Alaska, September 3, 2007. I'm not sure this is the correct name of this creek or falls, but that's what I call it. 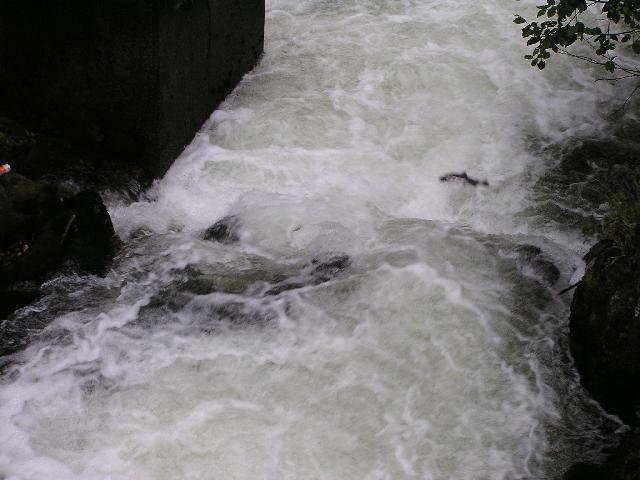 The creek was filled with salmon swimming upstream trying to get up the falls. There was a salmon ladder next to the falls; however, it didn't look like many salmon, if any, were using it. Instead, they were trying to get up the falls. In the top photo you can see one near the top left of the falls that is part of the way up. They would get up a few feet and then rest among the rocks before trying to get further up.